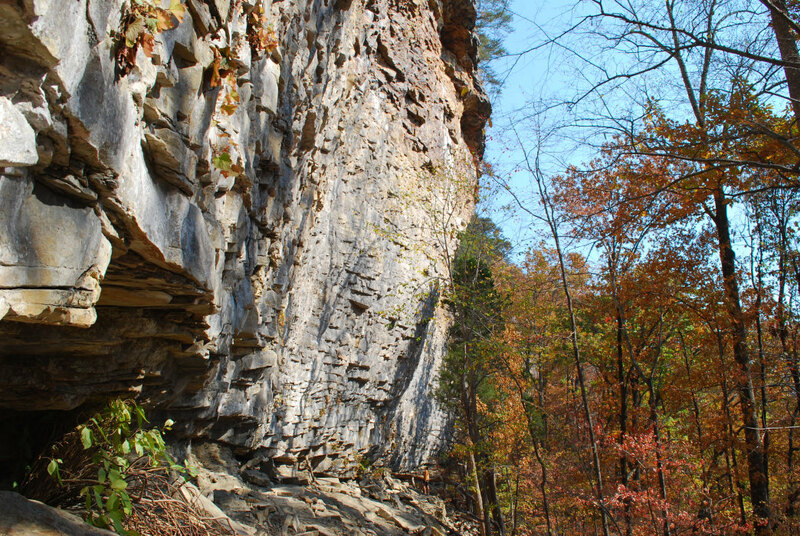 Denny Cove, the newest crag in Tennessee’s South Cumberland State Park system, is quickly growing in popularity among climbers all over the Southeast. Located in the same area as Fiery Gizzard and Foster Falls, there’s already more than a dozen established routes here for climbers of all abilities, with the potential for many, many more. It all started in 2011, when local climbers began exploring the area and became excited about its potential as a world-class climbing location. 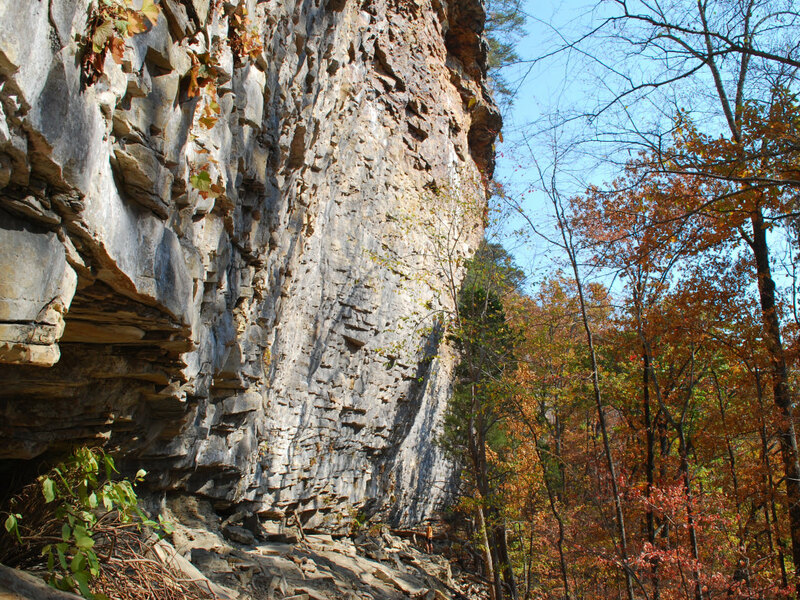 The Southeastern Climbers Coalition, Access Fund, the Land Trust for Tennessee, the Conservation Fund, and other organizations began working together in what Park Ranger John Ball calls "an unprecedented level of cooperation" to purchase the 685-acre tract of land from a timber company. 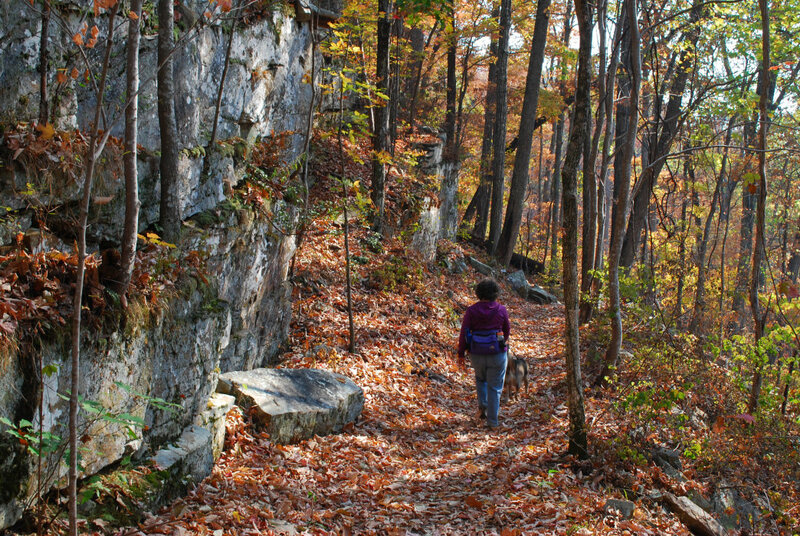 After purchasing the area, the SCC donated it to the State of Tennessee to be included in its park system, and work began on Denny Cove’s trails. From August to October in 2016, volunteers from the SCC and Access Fund concentrated on clearing the area, and efforts have continued since the official opening of the park on November 5, 2016. Denny Cove is still a little rough around the edges—trails are new and unfinished, and bathrooms and camping are nonexistent. But that’s one of the best things about Denny Cove— you have the chance to be a part of a premier climbing area’s development, to be among the first to explore routes, or even be able to put up some new lines. As for the climbing, Roney describes it as "over a mile of tall, overhanging sandstone cliffs with both sport and traditional climbing routes in grade ranges that can suit the novice to the expert. Corners, steep roofs, and vertical faces give climbers a wide variety of unique styles and route options." The area is divided into east and west sections, also called Denny Right and Denny Left, by an access trail. In Denny Right, you’ll find the Buffet Wall, which is taller than anything in the nearby Foster Falls and, as the name implies, offers all-you-can-climb opportunities. Try already-established favorites such as Magic Meat (5.12a) and the sharp arête route called Gas Powered Flight (5.10d). In keeping with the buffet theme, there is also a smaller section area east of the Buffet Wall called Salad Bar. Denny Cove has no top-roping, as the state doesn’t own anything above cliff line. The SCC manages all hardware on the wall, and climbers interested in establishing new routes should follow the application process outlined on the SCC website (also a great source for more info. on the history and potential of the area). The future for Denny Cove includes developing bathrooms, primitive campsites, and hiking trails to scenic overlooks. Until then, it’s all about the climbing. And the 70-foot waterfall at the end of the trail (continue past the Buffet Wall). The Southeastern Climbers Coalition is currently fundraising to finish paying off the purchase of Denny Cove. You can donate here. Denny Cove is currently open only on Saturdays and Sundays. The rangers open the gate every morning, and closing time is thirty minutes after sunset time. All climbers MUST be out by this time (the rangers have helpfully posted a list of closing times on the trails). The nearest camping is at Foster Falls; reservations are required and can be made ahead of time through the South Cumberland State Park’s website or by calling 931-924-2980. Denny Cove is off Highway 41A in Marion County, near the towns of Tracy City and Jasper, 1.4 miles south of the entrance to Foster Falls. From Nashville, take I-24 East to exit 134, then follow the signs to Tracy City and Foster Falls. From Chattanooga, take I-24 West and Highway 41 through Jasper.